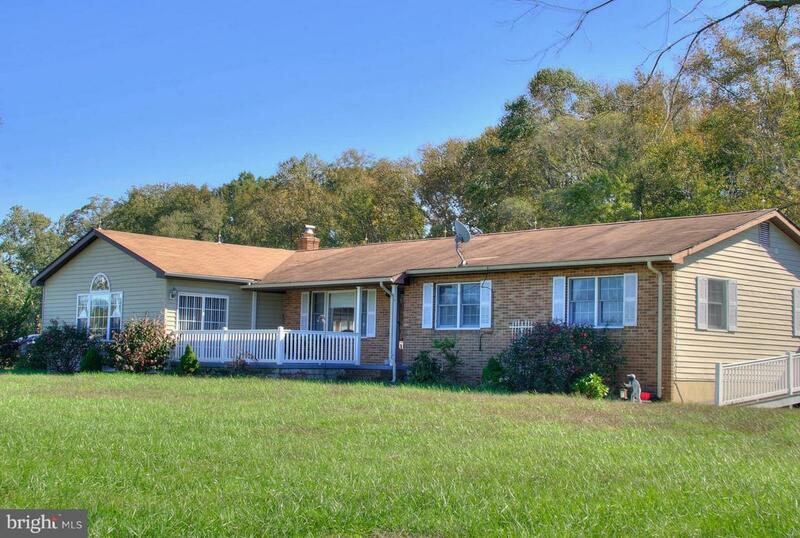 Peace and quiet of 14.8 flat acres perfectly compliment the upgrades throughout this home. The family has been the only owners and have taken pride and care of their home, the horse stable, and the various upgrades. There is ample room to customize the space to fit your needs, multiple updated kitchens with granite counters, multiple dining rooms, entertaining space on both floors, outdoor decks - with a ramp, walk out basement with it's own entrance. The owners utilize FIVE bedrooms, but without windows they cannot be counted as such; they have used it for many years to raise children and enjoy the outdoor life, now it is time for you to make it your own. Be sure to ask about the virtual tour on our YouTube channel to see the spacious layout and nearly unlimited options. Inclusions Two Pellet Stoves Are included To Help Reduce Heating Bills.